This presidential election has been quite strange thus far. As it has unraveled, it's probably safe to say that few people could have predicted exactly how the whole thing would go down. But there are still a few months left for things to keep getting weird, and maybe even strange enough for a 12-year-old to run a Colorado GOP office. Actually, that's already happening. Weston Imer, 12, is currently running Republican presidential nominee Donald Trump's campaign office in Colorado. Imer is the co-chair of the Jefferson County Trump campaign, according to Uproxx. 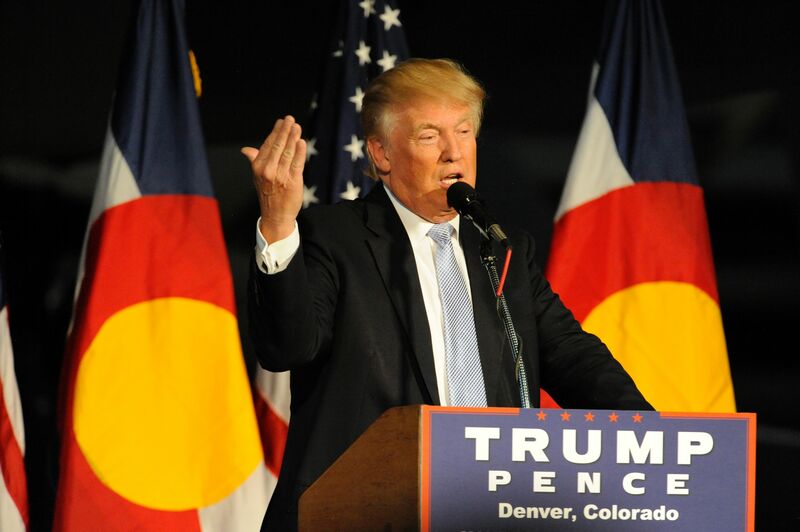 Colorado is an important swing state this year, and because Trump has been struggling to maintain his voter support since the end of the Republican and Democratic National Conventions, he definitely needs all the help he can get. In Colorado, a Real Clear Politics average put Trump nearly 11 points behind his Democratic opponent, Hillary Clinton. That's a huge gap he'll have to close in very little time, but not without the help of Imer, who said, according to Uproxx, "Get involved. That's what I'm gonna say. Get involved. Kids need to be educated." Indeed, kids — and plenty of other people — need to be educated. Imer said he definitely wants to be president one day, adding, "2040, watch for me. 2040, Imer. Imer, and Barron Trump, if you're watching in 2040, I'll take you as my running mate." As of recently, FiveThirtyEight reported a slight boost in Trump's national numbers, with him gaining about 2 points on average over the last few weeks. However, state-level polls showed otherwise, as Clinton continues to make gains, though they also showed that Trump is doing relatively well in Indiana and Mississippi, while Clinton leads him just slightly in Iowa and Nevada. The next few weeks are going to be crucial for the Trump campaign. Even if he has a few bright spots now, it's definitely not enough to guarantee a win in November, and there's no sure sign that he will be the next president. As for Imer, he is certainly getting a head start on his future political career, and it's great that he wants to be so involved, especially at such a young age. He has accomplished so much at 12 years old to even be running his own county campaign office. Let's just hope that if he continues his career in politics, he'll steer away from running the next Trump campaign.